Hello friends! Melissa Kolbeck here from Dancing for Food. This is the first in 3 part series about how to stay fit in pregnancy, which I’m sure that a lot of you moms will appreciate! October is the month of my birthday, and I think it would be so cool to share a birthday month with my daughter. Plus, I’ll be full term (37 weeks) ON my actual birthday! I don’t want to go past my due date and get even bigger than I’m already going to get and be even more uncomfortable than I know I’m going to be. Either way though, I really just want a healthy baby girl. That’s all anyone wants, right? But on to the meat of this post: fitness in pregnancy. 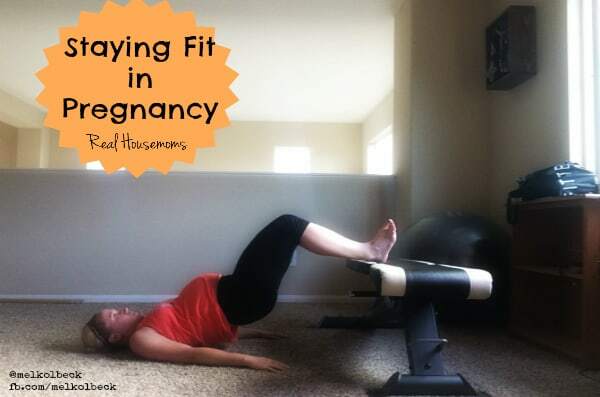 Today I’ll be sharing WHY staying fit is so important and in the next 2 posts will talk more about specific exercises you can do during pregnancy that are both safe and effective. There are a lot of people out there, some doctors included, who discourage some or all exercise during pregnancy. If this is your experience, I highly suggest getting a second opinion. Seriously. Science now suggests that not only is exercise during pregnancy safe, it’s healthier for both you and baby if you stay active. This does not apply of course, if you are on bed rest or have another medical reason to lay low during your pregnancy. 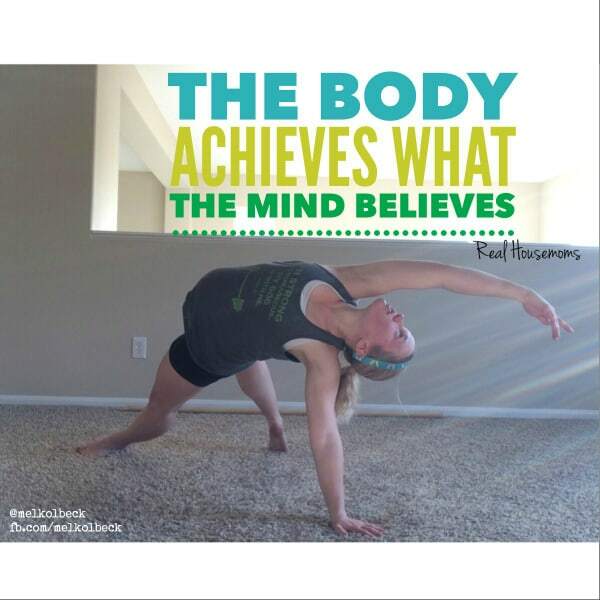 you’ll help your body get ready to give birth!! Besides all that (which looks pretty good to me! ), keeping active in pregnancy will help you recover faster. I was talking with a friend of mine recently who is a mom of 2 boys, and she shared that by containing to work her abs/obliques through the duration of her second pregnancy, her ab muscles tightened up much faster than they would have had she not done those exercises. And it makes sense, right? Your abs are going to weaken, it’s inevitable. But why not give yourself less work to do postpartum?! I’m sticking with this idea and have been working my abs as much as possible during my workouts. It’s definitely getting harder to sit up in bed, but I do what I can. I know I’ll be thankful later! So what can you do to stay fit during pregnancy? What about changes between the first, second, and third trimesters? I’ll tell you in the next segment!! Questions about staying active in pregnancy? Contact Melissa here.